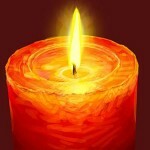 This is a two-part series of articles regarding the use of Time in candle spell work. 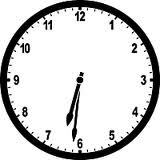 Using the power of Time when beginning candle spell work has been a long held tradition in many cultures. The belief that the effectiveness of candle spells when the Sun is rising or when it is setting is as crucial to some as the day of the week or what station the Moon is in its lunar course. Some traditions go so far as to calculate which hour of which day to begin work, as each hour of the day belongs to a certain Planet and each day does so as well. This is a brief explanation of Time in relevance to candle spell work success. Belief has it that if you use the clock hours of the day when the hands are “moving up” on the clock face, you will gain in success, Good Luck, money and all things considered ‘good’. The time to light candles for “bringing in Goodness” would be from 6:31 am to 12:00 noon, and then again at 6:31 pm to 12 midnight. As you look at a clock’s face, you will see that these times listed is when you see both the hour and minute hand moving up the right side (your left) of the clock (see photos). It has also been said that allegedly if you wanted to “send something away”, then burning a candle from 12:01 am to 6:00 am, and then again from 12:01 pm to 6:00 pm would be the most effective time to do so. 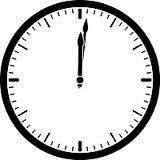 As you look at the clock, the hands will appear to be moving down the left side (your right) of the clock’s face.This would be effective for banishing work, however I would consider using the above paragraph when doing Reversible work, as you want success in reversing what ails you.